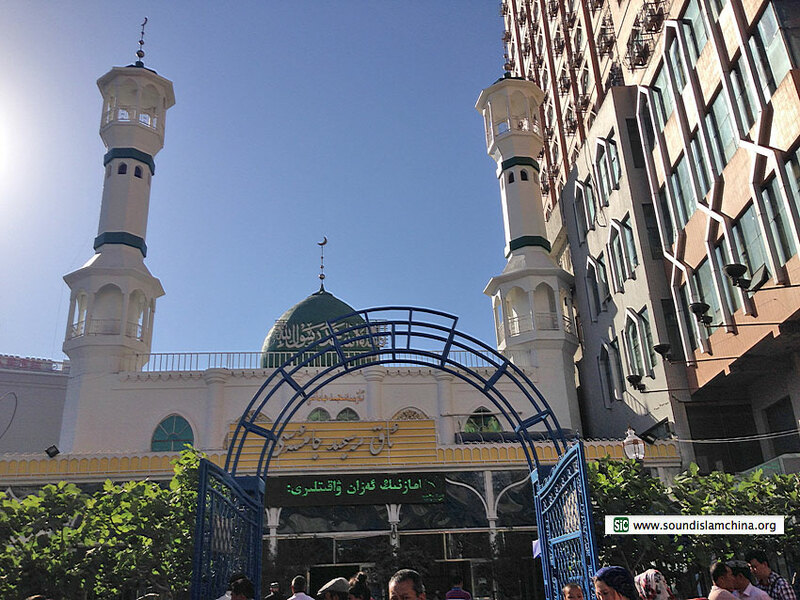 The ‘White’ Mosque is well attended for the late afternoon service during the month of Ramadan, by a mostly Uyghur population. A young imam calls attendees to prayer from a booth at the back of the prayer hall as late-coming worshippers are still arriving. A row of more senior imams then conducts the rest of proceedings from the front, facing the assembled worshippers. Prayers take no more than about ten minutes in total.